Geometric Mouse X by artist Claes Oldenburg sits in front of one side of the Houston Public Library in downtown Houston. This modern sculpture is in front of the more modern part of the building and can be viewed at the corner of McKinny and Bagby Streets. 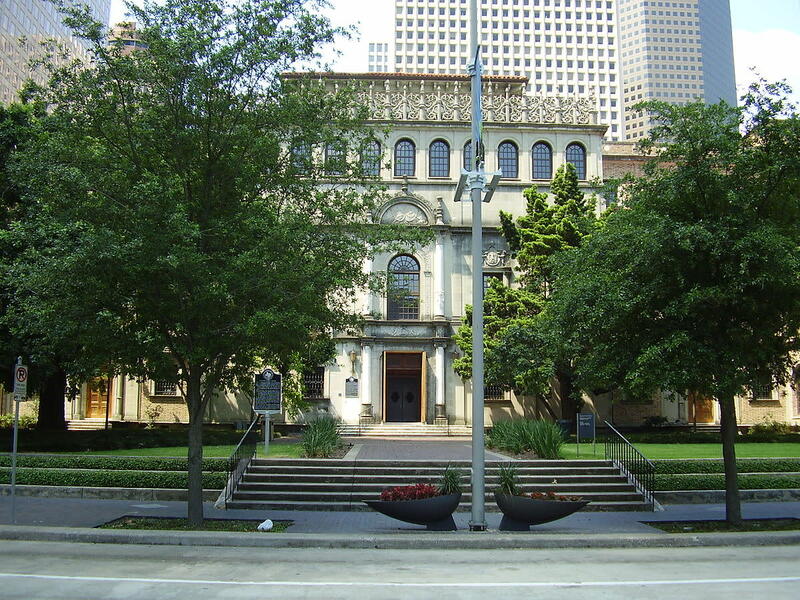 It is a full city block campus at the downtown Houston Public Library. 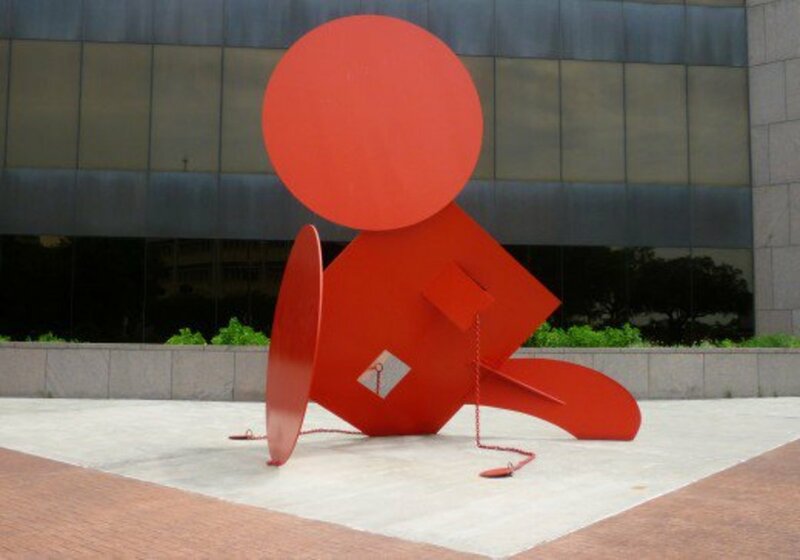 The artist who created this whimsical eye catching red sculpture is Claes Oldenburg. 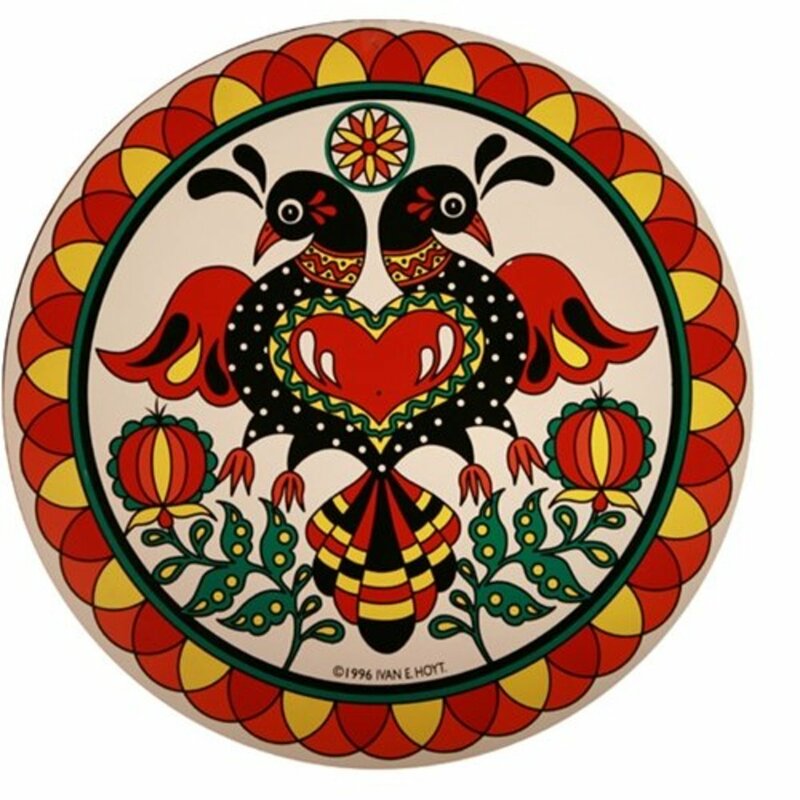 He has often created works for public art enjoyment and was influenced by the Pop Art Movement. A mouse theme was utilized by him several times. Do You See a Mouse in This Sculpture by Claes Oldenburg? I envision something else and will tell you my thoughts in the comment section below. 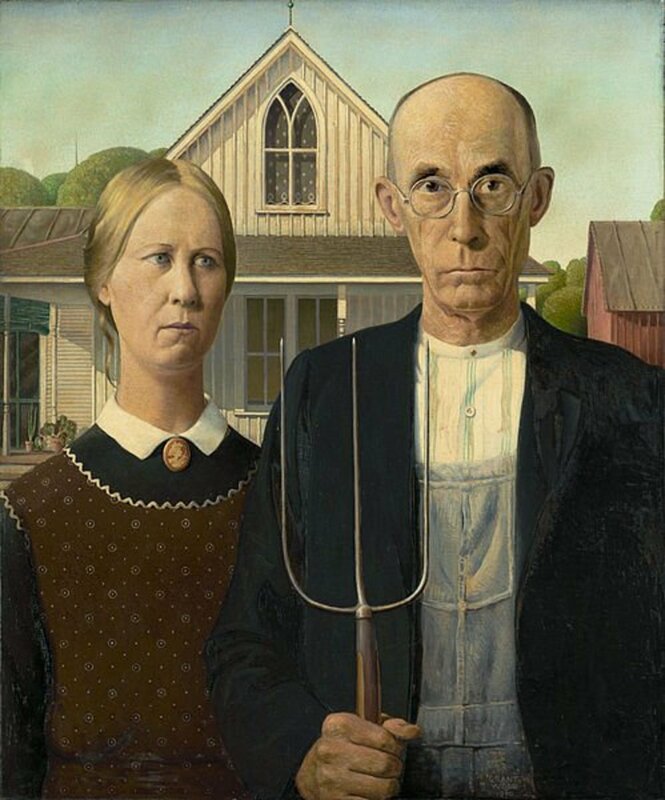 The Pop Art Movement started out in the 1950s. When I personally think of pop art Andy Warhol and his Campbell soup can canvasses immediately come to mind. Other artists in addition to Andy Warhol and Claes Oldenburg known to have participated in the pop art movement include Eduardo Paolozzi, Richard Hamilton, James Rosenquist, Roy Lichtenstein, Robert Indiana, Tom Wesselman, Peter Blake and David Hockney among others. Figures in comic strips, political figures and images of actresses such as Marilyn Monroe were suddenly found in that particular art movement of the time. Some people saw humor in this type of art. Certainly there were skeptics who did not consider this to be real art but it certainly seemed to appeal to a vast majority of people. This particular sculpture titled Geometric Mouse X was created in 1971 and is comprised of paint on COR-TEN steel and was originally painted an orange color. It has since been repainted red with the artist's permission. Featured below is a video showing how this Mouse sculpture by Claes Oldenburg is versatile as to how it can be displayed in various guises. Do You Enjoy Pop Art? I enjoy some of it. I have some on display in my home. Are you serious? This is not art in my opinion! 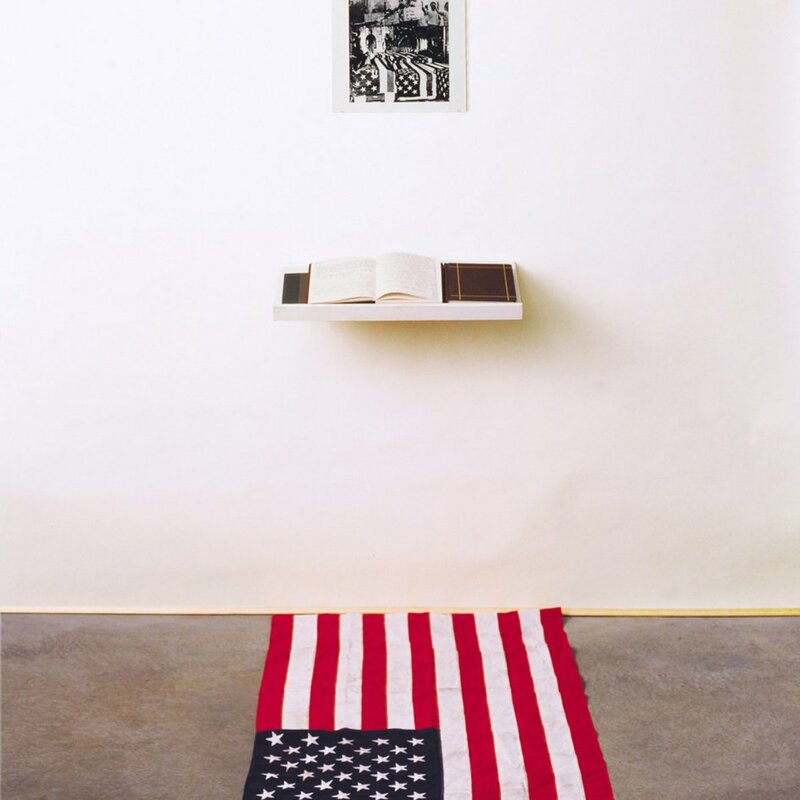 Claes Oldenburg was born in 1929 in Sweden but became a naturalized citizen in America. He was drawn to studying art and accumulated many awards and honors over the years. 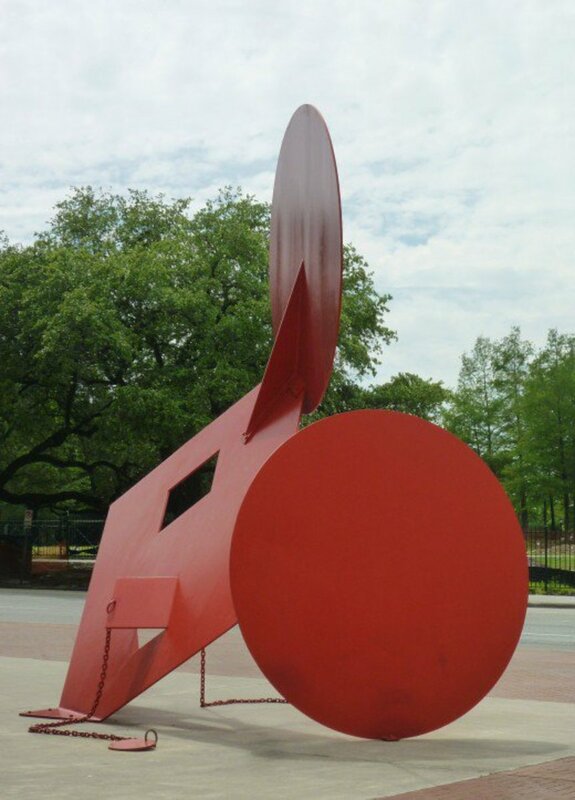 This Geometric Mouse X sculpture in Houston is one of the largest ones that Oldenburg fashioned and had welded together. Some of his sculptures are desk sized in comparison. This eye catching sculpture was anonymously donated to our fine city in 1975 when it was installed on location. Whoever did that surely helped to brighten up our downtown city streets. Those of us who appreciate art are surely indebted to that person or entity for their philanthropy. You can see much more of the type of art Claes Oldenburg has created by viewing the video below. The photo below shows the part of the oldest building that was made into this downtown public library. It is surrounded by more modern buildings on other sides. Claes Oldenburg's Geometric Mouse is fittingly placed in front of one of the more modern buildings. 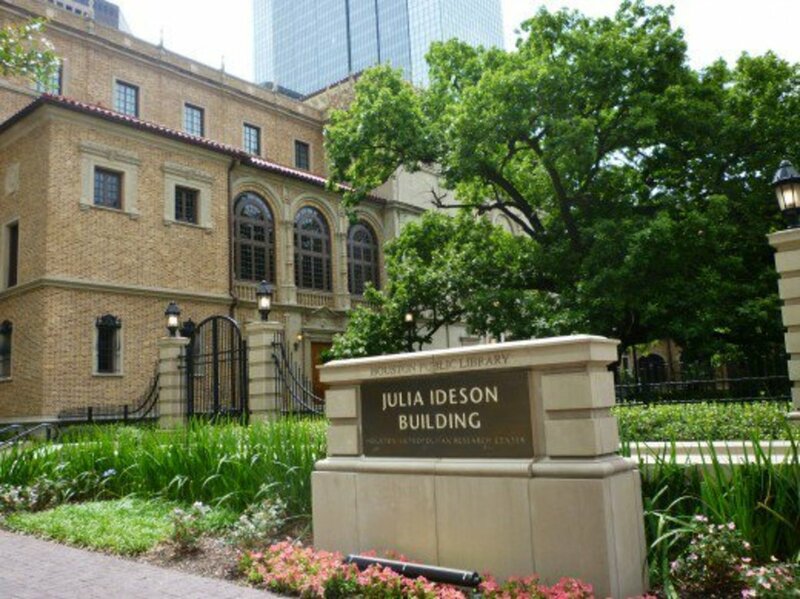 The downtown library was named in honor of the very first librarian hired as such in Houston by the name of Julia Ideson. That was in the year 1903. She worked for more than 20 years in that capacity and served Houston and its residents well. 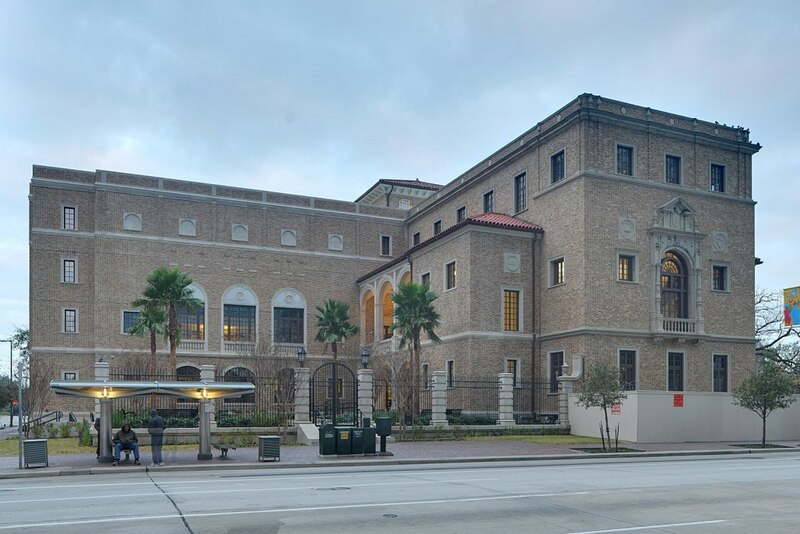 This beautiful building which opened in 1926 was built in an ornate Spanish Renaissance architectural style. It was placed on the National Register of Historic Places in 1977. The beautiful brickwork, columns, tile, grand staircase and sheer beauty of its interior makes it a desirable location for many different types of events such as weddings. Spaces can be rented for different occasions. The Geometric Mouse X sculpture by Claes Oldenburg is gone! Do you know what happened to it? I just called the Houston Public Library downtown location and was told that the Geometric Mouse X sculpture was removed on April 22nd to have some conservation work done. When completed the sculpture will be returned to that same location. That is the wonderful thing about art. There is something to please just about anyone's taste in art, and our different ideas of what makes art special is the reason for so much diversity. I like sculpture but I always think "Would I have that in my own house?" and that's how I judge pieces. Sadly I would not have this mouse piece in my home but that's just one man's personal taste. I am pleased that you enjoyed learning about this particular sculpture by Claes Oldenburg. It is certainly eye-catching! Really enjoyed seeing and learning about this repositionable mouse sculpture. Learning about Oldenburg's philosophies was interesting, and I enjoyed learning about the Julia Ideson as much as seeing the sculpture. Thanks again for a neat vicarious tour! I hope that someday you will be able to take in sites like this and many others as well. Wishing you and your family many blessings. So glad you liked this Audrey! Houston really does have an active arts scene. It took me a minute to recognize this sculpture as a mouse. Guess I need to exercise my imagination more often. :) I'm liking Houston more with each hub you creat. This city offers a great variety of art and wonderful attractions. Thanks, Peggy. The city was gifted with that sculpture but the donor chose to remain anonymous. Undoubtedly the city was able to choose where the Geometric Mouse X sculpture would be placed. The steel used in the making of this sculpture actually does rust and quite quickly. The protective layer then protects the steel from further deterioration. By choosing to paint the sculpture, that changes the color from a rust look to the paint color chosen. I am unaware of any vandalism to this piece of art. Perhaps being in such a public space helps that situation. That was fun...great sculpture....I would really enjoy a stroll around downtown Houston. It is definitely interesting seeing this sculpture from different angles which is the way all sculptures are undoubtedly meant to be viewed. I agree with you that pop art can be quite interesting. It is interesting that you have purchased pop art pieces and then sold it for a profit. You sound like a smart business person! It’s interesting that someone just donated it suddenly and anonymously on site. People must have wondered what it was doing there and why and whether it was authentic. I guess by installing it they took away all the dilemmas about where to put it and how to position it. Sometimes you just have to do something and be done with it. Does it rust? Do they have a problem with vandals? I recognized the mouse quite quickly in the first photograph. It was interesting to look at the sculpture from different angles and get different impressions about what it might represent, though. Some pop art can be intriguing. I do like and have collected art like this. Smaller version of course. I bought it to sell and made some good profits so it must be popular with many. I thought it was from the 60s so thanks for correcting me on that. 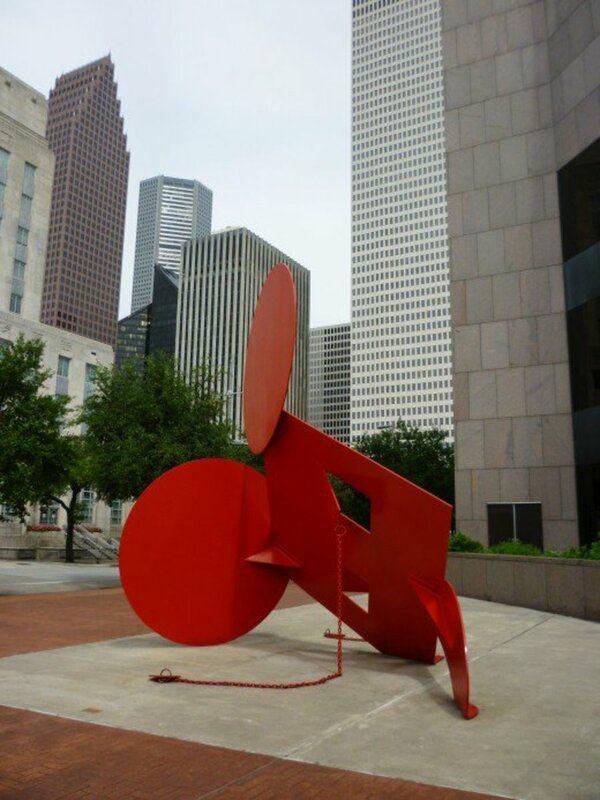 I agree that this sculpture in bright red paint is truly noticeable with that backdrop of downtown buildings in Houston. Nice to know that you enjoyed learning about the art by Claes Oldenburg. That Mouse Pop Art fitted so well in the backdrop of buildings. He knows he is king in the area. Thanks for the introduction to Claes Oldenburg.